Last week the Indiana Tobacco Retailers Inspection Program announced that 96% of tobacco retailers in the state were compliant with laws restricting tobacco products to minors (story here). This is the highest compliance rate since the program’s inception in 2000, when the rate was 59%. Indiana’s outstanding results are similar to those from FDA compliance checks in Mississippi, announced in early January by the agency (here). Of the 493 Mississippi tobacco retailers that were inspected, only 25 had violations. In other words, 95% of stores in that state are not selling tobacco to minors. This compliance rate is much higher than even a few years ago. To the agency’s credit, FDA issued stern warning letters to the remaining violators. I have been critical in the past of FDA Center for Tobacco Products actions (here, here and here), but these are positive developments. Point-of-sale is a legitimate place for enforcement actions by state and federal agencies. The FDA indicates that it will expand the compliance checks to all 50 states during the upcoming fiscal year. Still, these actions will have little impact on major suppliers of tobacco to underage users -- adult friends or relatives who legally purchase tobacco products and then provide them to teens. According to a study published in 2004, (abstract here), 65% of teen smokers obtained cigarettes in just that way. That is probably why the 2010 Monitoring the Future Survey found that 75% of 10th graders reported that it was "fairly easy" or "very easy" to get cigarettes. Stopping underage access to tobacco is a critical national priority, but non-compliant retailers are no longer a significant source for teenagers. This key fact invalidates the allegation by Matt Myers and other zealots that tobacco manufacturers are targeting kids with harm reduction products like dissolvables (here). 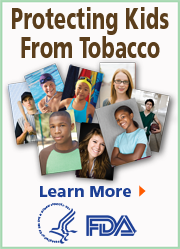 The allegation is fatuous if children don’t have access to tobacco products. As I documented in a previous blog entry, Karolinska Institute (KI) studies on the health effects of snus use have profoundly influenced regulatory action worldwide, but those studies are compromised by important, troubling and unresolved discrepancies. Following is evidence that KI investigators misrepresented snus use among the revolving-door cohort in multiple journal articles. From 1971 to 1974, 135,000 Swedish construction workers were enrolled in a health program that served as the basis for epidemiologic follow-up studies investigating associations between many risk factors and diseases. The first report, claiming that snus use had risks for cardiovascular diseases, was published by Gunilla Bolinder (abstract here); subsequent studies variously included and excluded this group, prompting me to label it the “Bolinder Revolving-Door” cohort (here). There are many other problems with the KI studies that are technical in nature, but one deserves special mention because it is so basic and egregious. It involves the definition of snus use. 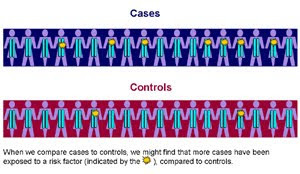 When conducting epidemiologic research, it is critically important to classify subjects according to current or former exposure to a risk factor; there are often large differences in risk in these groups. For example, current smokers have higher risks for heart attacks than former smokers. Sometimes, researchers don’t collect information on current and former use, in which case they designate subjects as “ever-users” and “never-users.” The ever-never classification is not nearly as informative as current-former-never classification. In her 1994 publication, Dr. Bolinder clearly stated that she investigated cardiovascular diseases among “present” (i.e., current) snuff users. Keep in mind that Bolinder’s cohort probably had “former” users of snus, but she didn’t mention them. Thus, Bolinder claimed that she studied “present” (i.e., current) snus users in her cohort, but in 2007 Hergens said the only information available in the Bolinder cohort was ever or never use. To make matters more interesting, Gunilla Bolinder was a co-author on Hergens’ publication. Did the Bolinder Revolving-Door Cohort have current snus users or ever snus users? The Bolinder and Hergens-Bolinder descriptions of snus use are not only conflicting but irreconcilable; one of them is a gross misrepresentation. Last year, I described a 30-year misinformation campaign in the United States, almost entirely based on Dr. Deborah Winn’s misrepresentation of dry powdered snuff in her influential 1981 New England Journal of Medicine report (my entry here). Winn exaggerated and conflated the risks of a rarely used smokeless product (dry powdered snuff), and attached those risks to popular chewing tobacco and moist snuff products, which have virtually no risks (evidence here). The credibility of the KI studies is contingent on the resolution of their many significant discrepancies. It would be a public health travesty if the KI misrepresentation persisted as the basis for a Winn-style misinformation campaign in Sweden and throughout the world. The Karolinska Institute (KI) in Stockholm is Sweden’s premier medical research institution, and among the most well known and respected in the world. For several years a group of researchers in the KI’s Department of Medical Epidemiology and Biostatistics has published numerous studies of the health risks related to snus use. As I stated in a recent commentary published in Sweden (link here), “the health risks identified in the KI studies are the raison d’être for the ban on snus in the E.U. (except Sweden), but it has also had a profound impact on tobacco regulation in the U.S. and other countries,” making access to snus difficult or impossible. The KI studies have profoundly influenced regulatory actions all over the world, but they are compromised by important, troubling and unresolved discrepancies that KI researchers have refused to address. This post describes the biggest problem in detail. The KI studies are based on over 300,000 male Swedish construction workers who enrolled in a health program from 1971 to 1992, including roughly 135,000 workers who were enrolled in the program during the 1971-1974 period. This group is important, because there are potentially serious questions about the adequacy of tobacco use information for these workers. In fact, the information is so questionable that KI researchers have included and excluded them in a revolving door fashion in published analyses over the last several years. The story goes back to 1994, when KI investigator Gunilla Bolinder and colleagues reported that snus use was a risk factor for cardiovascular diseases. (abstract here). In that study Dr. Bolinder studied only the construction workers from the 1971-74 group (hereafter, the “Bolinder” cohort). That report, one of only a few linking snus use with heart disease and stroke, had some obvious but inexplicable technical problems, which I raised in a 1995 letter to the editor of the journal (here). Dr. Bolinder did not resolve these problems. Fast-forward 13 years to 2007, when KI investigators Luo et al. published a high profile study in The Lancet finding that snus use was a risk factor for pancreas cancer (here). In their analysis, Luo et al. excluded ALL of the workers in the Bolinder cohort “because of ambiguities in the coding of smoking status” of participants. In other words, Luo tossed out the 135,000 workers of the Bolinder cohort. The justification for these exclusions was an “unpublished” observation by Zendehdel, another KI investigator. I published a letter to the editor of The Lancet (here) observing that, if the Bolinder cohort was deficient, then the validity of the Bolinder study was suspect. Luo et al. responded that perhaps the exclusions were not warranted (here), citing a KI study that was about to be published. That study, which found that snus use was associated with esophageal and stomach cancer, included the Bolinder cohort (here). The lead author on that study was Zendehdel. Confusing? Absolutely. First, KI researchers cited Zendehdel as the justification for excluding the Bolinder cohort, but then Zendehdel included the Bolinder cohort in his published study. To illustrate how many times KI researchers have subjected the Bolinder cohort to revolving door treatment, here is a list of publications. This is unacceptable from a scientific perspective, but there are many other problems. For example, it appears that Dr. Bolinder’s definition of snus use was inconsistent with later definitions. I’ll have more to say about this in a future post. Why Doesn't the Karolinska Institute Want To Disclose How They Conducted Their Research On Snus? On February 7, Dagens Industri, Sweden’s prestigious business newspaper, published my commentary on snus misinformation emanating from the Karolinska Institute, Sweden’s premier research institution. The commentary is available in Swedish (here); the English version of my submission follows. 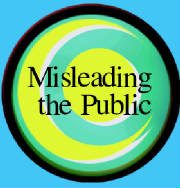 I will post a detailed description of the Karolinska Institute misinformation in a few days. Many research studies from Sweden have not found any health risks from snus use, but researchers at the Karolinska Institute have produced a series of reports, based on a large cohort of Swedish construction workers, that emphasize very small risks for esophagus and pancreas cancer and fatal heart attack and stroke. The KI reports do not change these indisputable scientific facts: the health risks from the use of Swedish snus are so low that they are difficult to measure with modern epidemiologic methods. Snus use by Swedish men has resulted in the lowest rates of smoking-related diseases and deaths in Europe for the past sixty years. However, the KI studies have obvious technical problems and contradictions, and I have documented these concerns in medical journals. For example, in 1994 Dr. Gunilla Bolinder studied 135,000 Swedish construction workers who had enrolled in a health program from 1971 to 1974. She found that snus users had elevated risks for cardiovascular diseases. But in 2007 another KI study excluded the 1971-74 workers because of “ambiguities” in tobacco use. Then another KI-study in 2008 included them. These problems are unacceptable from a scientific perspective, and I gave the KI researchers several opportunities to resolve them. There was no response. Over two years ago I asked KI researchers for access to the construction worker data so that their findings could be validated. In the past the KI has given data to American researchers while fully protecting the identity of the participants. But the KI refused my request. I was at an impasse with the KI from a scientific perspective, so I pursued the matter in the administrative court as a last resort. The court ruled that the data is a matter of public record, and it encouraged KI to make a thorough and comprehensive assessment of which data can be disclosed. But the institute has twice failed to comply with the court’s instructions, and it has provided no reasonable explanation for its intransigence. KI – which in this respect is a Swedish authority – recently decided that I should be granted partial access to the data. But not digitally – which is customary – but only via pieces of paper. In addition KI will remove information about health conditions, i.e. the very information that I want to validate! This means that I would get hundreds of thousands of pages of worthless paper, for which KI has the right to invoice me. This cannot be seen as anything but pure obstruction, and KI’s position is that its research is exempt from validation. Researchers at KI have more than implied that I am running the errands of the tobacco industry. That is of course not the case. For years my university has accepted unrestricted funding from tobacco manufacturers including Swedish Match. This is very common in the U.S., as well as in Europe. We would never – nor would KI – let our funding direct the focus or results of our research. Personally I have conducted tobacco research for two decades, and I developed a deep understanding of Swedish snus as a visiting scientist at the University of Umeå in 2002. At first glance this matter appears to be just a minor dispute between a sole American professor and a prestigious and powerful Swedish research institute. I would argue the issue is bigger than that. The health risks identified in the KI studies are the raison d’être for the ban on snus in the E.U. (except Sweden), but it has also had a profound impact on tobacco regulation in the U.S. and other countries. It would be a tragedy if snus restrictions and prohibitions were improperly based on exaggerated or fictitious health risks. As a result, millions of inveterate smokers outside Sweden might never know that snus is a much safer substitute for cigarettes. KI’s position is counter to the scientific and ethical principles of data sharing among medical institutions. 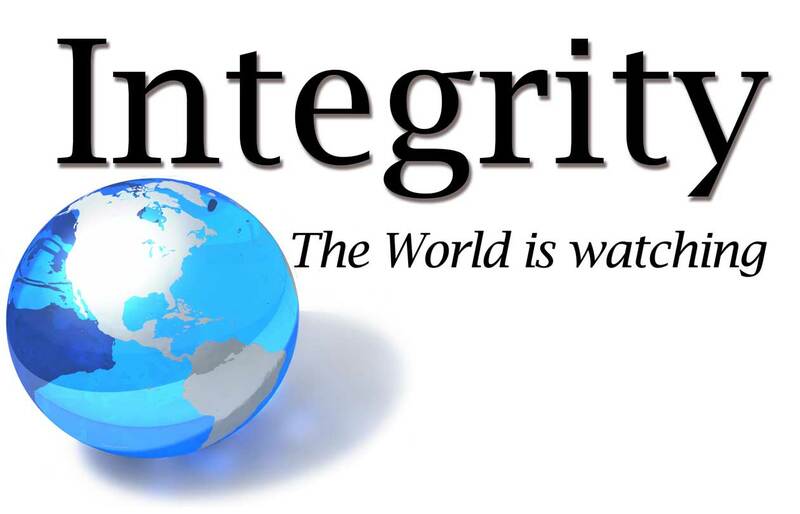 These principles require that scientific results are open to challenge by other scientists to determine their accuracy and integrity. The best solutions for scientific debates are not found in the courts. I therefore hope that KI decides to follow the practices of the world of medical research. If the KI does not release the data, it risks damaging its outstanding international reputation. A new study documents that smokeless tobacco use is not associated with increased risk for pancreatic cancer. The study, from the International Pancreatic Cancer Case-Control Consortium and lead author Paolo Bertuccio of Milan, Italy, was published in Annals of Oncology (abstract here). It is a collaborative analysis of 6,000 cases of pancreatic cancer from 11 studies in North America and Europe. With only 130 pancreatic cancer cases among ever smokeless tobacco users, the odds ratio (OR) is 0.98 (95% Confidence Interval, CI = 0.75 – 1.27). Twenty-three cases among exclusive users of smokeless tobacco produced an OR of 0.62 (CI = 0.37 – 1.04), which was almost significant for a PROTECTIVE EFFECT. Smokeless users who were also cigarette smokers had an OR of 1.36, which was not statistically significant (CI = 0.94 – 1.96) but confirms other studies that showed higher pancreatic cancer risks for smokers. The importance of this study is hard to overestimate. 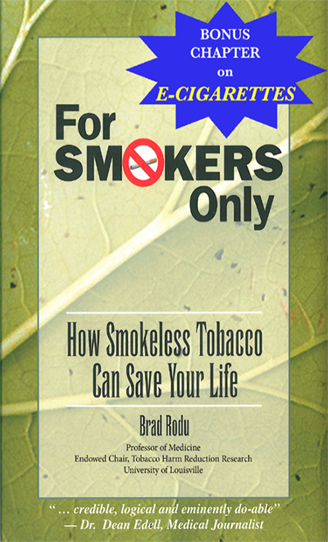 First, it provides additional evidence that smokeless tobacco users are not at risk for pancreatic cancer. More importantly, it directly addresses a persistent question about the integrity of previous studies. In September 2009, I described in detail the results of two meta-analyses of cancer risks among smokeless tobacco users (read my description here). The first report, published in 2008 by Paolo Boffetta and colleagues in Lancet Oncology, concluded that smokeless users had an increased risk for pancreatic cancer (RR = 1.6, CI = 1.1 – 2.2). But that study used cherry-picked data in an unscientific manner to artificially raise the cancer risks. The second study, by Peter Lee and Jan Hamling, using a more scientifically credible and valid approach, reported an RR for pancreatic cancer of 0.99 (CI = 0.71 – 1.60). Bertuccio actually cited a different Lee-Hamling publication (abstract here), but the data from this study is identical to the Lee-Hamling meta-analysis. The Bertuccio study is significant because it endorses the Lee-Hamling analysis and clearly refutes the Boffetta analysis. But there is another, profound aspect to this report: Paolo Boffetta is a co-author. Thus, Dr. Boffetta is finally acknowledging that his 2008 meta-analysis was wrong. American consumers have been deceived for decades by the myth that smokeless tobacco confers high risk for oral cancer (here ). Because of the misguided 2008 Boffetta meta-analysis, smokeless tobacco opponents have built a second unscientific line of attack around the issue of pancreatic cancer. Regulatory authorities worldwide should now acknowledge that use of modern American and Swedish smokeless tobacco products is not a risk factor for cancers of the oral cavity or pancreas.